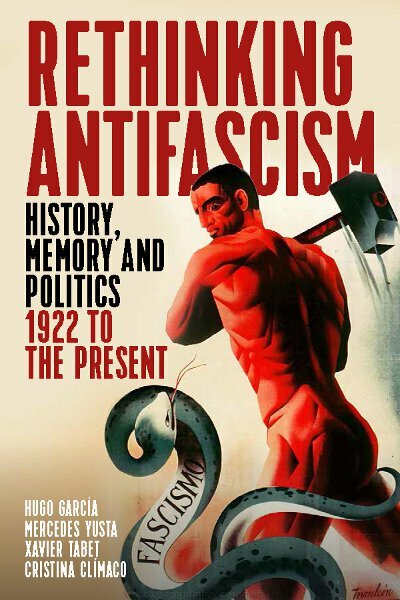 Bringing together leading scholars from a range of nations, Rethinking Antifascism provides a fascinating exploration of one of the most vibrant sub-disciplines within recent historiography. Through case studies that exemplify the field’s breadth and sophistication, it examines antifascism in two distinct realms: after surveying the movement’s remarkable diversity across nations and political cultures up to 1945, the volume assesses its postwar political and ideological salience, from its incorporation into Soviet state doctrine to its radical questioning by historians and politicians. Avoiding both heroic narratives and reflexive revisionism, these contributions offer nuanced perspectives on a movement that helped to shape the postwar world. Hugo García is Associate Professor of Modern World History at the Universidad Autónoma de Madrid, Spain. His publications include The Truth about Spain: Mobilizing British Public Opinion, 1936-1939 (2010), and he edited the Contemporary European History special issue on Transnational Anti-Fascism: Agents, Networks, Circulations in November 2016. Mercedes Yusta is Professor of Spanish History at the Université Paris VIII and a member of the Institut Universitaire de France. She has published numerous books on antifascist political culture, most recently Madres coraje contra Franco: La Unión de Mujeres Españolas en Francia, del antifascismo a la Guerra Fría (2009). Xavier Tabet is Professor of Italian Studies at the Université Paris VIII. His research deals with Italian political thought in the nineteenth and twentieth centuries, including studies on Fascist political myths and literature. His latest book is La vie intellectuelle entre Fascisme et République: Italie 1940-1948 (2012). Cristina Clímaco is Associate Professor of Portuguese Modern History at the Université Paris VIII. Her research focuses on the opposition to the Estado Novo, specifically Portuguese political exiles of the 1930s. She has published numerous articles and the forthcoming book Republicanos, Anarquistas e Comunistas no exilio, 1927-1936. Chapter 2. Was the French Popular Front Antifascist? Chapter 5. Was there an Antifascist Culture in Spain during the 1930s? Chapter 16. Dictatorship and Revolution: Disputes over Collective Memory in Post-Authoritarian Portugal.